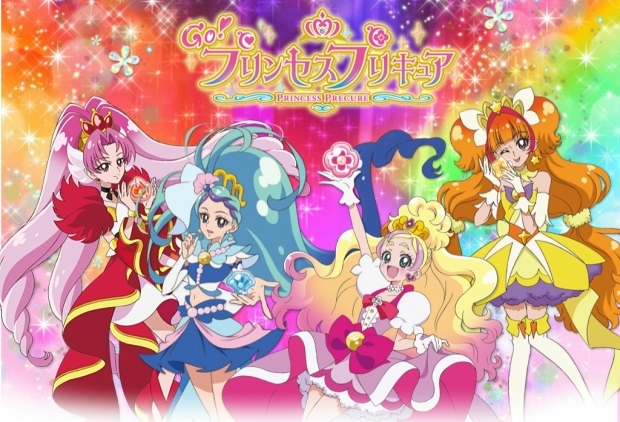 Going into Princess Precure it may surprise you how invested they get into the whole princess theme and that could be good or bad depending on who you ask. Haruka is the type of character you'd expect to play the wannabe princess and it works for her because unlike other characters of the same type in other franchises she displays noticeable faults and accepts the notion of dreams and despair being two sides of the same coin which really gives her character more dimensions. Minami is essentially a prettier Cure Aqua, while her lonely rich girl works better here, she loses points by having less development than her expy. Kirara is Princess Daisy, I can't really unseen it, she's Princess Daisy, sassy personality, athletic and same colour scheme but I like that personality and her higher taste in fashion adds more dimensions to her character. Towa is a former villain which is an automatic high score and she gets extra for a dark transformation, the only character to do so, but she's exactly like Cure Passion. Best Dressed Award - EVERYONE IS FABULOUS!!!!!!!! !